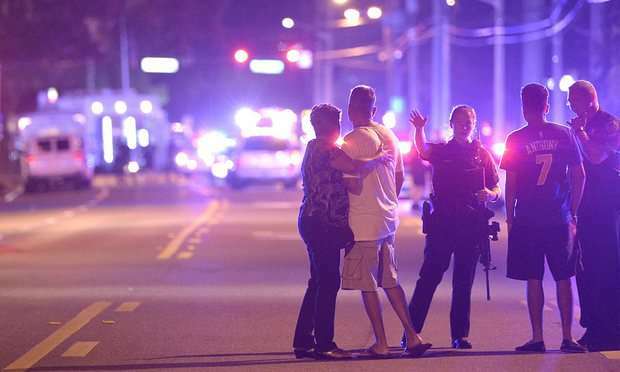 A gunman killed 50 people at a packed gay nightclub in Orlando, Florida on Sunday, June 12, and wounded 53 others before being killed by police in the worst mass shooting in U.S. history. The shooter was identified as Omar S. Mateen, a Florida resident who a senior FBI official said might have had leanings towards Islamic State militants. Officials called the rampage a "terrorism incident," but cautioned that the suspected Islamist connection required further investigation. "Today we're dealing with something that we never imagined and is unimaginable," Dyer said, more than doubling an earlier estimate that about 20 bodies were found in the Pulse nightclub. A police officer working as a security guard inside the club, which has operated in downtown Orlando since 2004, exchanged fire with the suspect at about 2 a.m. (0600 GMT), police officials said. "Do we consider this an act of terrorism? Absolutely," said Danny Banks, special agent in charge of the Florida Department of Law Enforcement. "Whether that is domestic terrorist activity or an international one, that is something we will certainly get to the bottom of." Asked if the FBI suspected the gunman might have had inclinations toward militant Islam, including a possible sympathy for Islamic State, Ronald Hopper, an assistant FBI agent in charge, told reporters: "We do have suggestions that the individual may have leanings toward that particular ideology. But right now we can't say definitively." "Over the next couple of days they're going to be looking to see where this individual was inspired to carry out this horrifying act of terrorism," Rubio said. "I think we're going to be talking about a very different kind of case here soon." The attacker was carrying an assault rifle and a handgun, Orange County Sheriff Jerry Demings said. He was also carrying an unidentified "device", Orlando Police Chief John Mina said earlier. Javer Antonetti, 53, told the Orlando Sentinel newspaper he was near the back of the dance club when he heard gunfire. "There were so many (shots), at least 40 ... it was constant, like 'pow, pow, pow,'," he said. Pulse, which was crowded for a Latin music night, describes itself on its website as more than "just another gay club." One of the founders and owners, Barbara Poma, opened it more than a decade ago in an effort to keep alive the spirit of her brother, who died after battling HIV. "Gay clubs hold a significant place in LGBTQ history. They were often the only safe gathering place and this horrific act strikes directly at our sense of safety," the group said. "We will await the details in tears of sadness and anger."